Whilst music formats and music cultures will always keep us on our toes, the core soul of radio never changes; it gives us community when we’re alone, moves us, and feeds our imagination. We know broadcasters better than our neighbours. New radio platforms are being launched every week, meaning that some of the best shows can get lost in white noise. Here’s ten fine-tuned programmes that we recommend for Jazz-ish listeners, on both FM and internet. Sunday morning is the ideal place for Teju Adeleye’s ambient voice and intriguing track selections. Highlight contemporary Jazz alongside some thoughtful throwback selections, her shows are a great weekend pitstop for live interviews and reflective listens. It’s hard to pick just one show on Gilles Peterson’s Worldwide FM, who celebrated two years this September. For us, Emma Warren’s two hour monthly residency is essential. From making her own zines and writing for THE FACE in the 90s, she continues to be an esteemed music journalist to the present day, launching her own Sweet Machine Publishing this year. Her integral Jazz and world selections, accompanied by in-depth interviews and live sessions with London up and comers, make her show a solid listen. Community station Lumpen Radio is based in Chicago’s Co-prosperity Sphere, a studio within a room of neon lights and gallery exhibitions that also provides live sessions for the station. Alejandro Ayala, AKA King Hippo, is one of the most respected tastemakers in America’s midwest and hosts Q.C fortnightly. He’s responsible for Hiatus Kaiyote’s first Chicago gig, and programmes Fresh Roasted, a regular event that sees producers create beats from live cuts in front of a live audience. Expect the sharpest Jazz, hip-hop and beatmakers from Chicago and around the world. The Singapore-founded collective have scattered their six members around the globe since launching in 2011. They magnetise us towards South-East Asia’s electronic music with their label, DJ appearances and radio presence; sets from co-founder Dean Chew are some of the most unbarred, sonically expressive you will find, taking you on journeys from afro-boogie to deep soul and jazz. Their radio shows, broadcast from stations based in New York, Singapore and London, are testament to their global span, albeit with a rewarding South-East Asian centrepoint. DJ Jamz Supanova has developed a reliable reputation for presenting trap, bass, house and alternative R&B that’s inviting no matter what you entry point is. She’s also been one of BBC Radio’s most active supporters of the the UK’s Club-Jazz movement, having had Joe Armon-Jones, Children of Zeus and Bradley Zero in the studio for sessions and interviews. Catch her supporting Ezra Collective in London this November. The Ezra Collective, Jorja Smith and Nubya Garcia drummer has been the influencer of UK Jazz is 2018. He’s championed not only for his skills behind the kit – watch his solo performance for the Champions League advert – but his straight-talking Insta-stories, too. Find him talking about everything from youth crime to his family’s cooking traditions. He’s even taken over stories for the likes of Vanity Fair. On radio, his track selections and chat are sincere and unrestrained. You feel like you’re listening to your best mate with a wicked music taste. Proudly Mancunian, proudly celebratory of the music they champions, Pablo Blanquito and Chris E are northern England’s senior prefects for underground Jazz, soul, hip-hop and beyond. They also throw intimate free parties in Manchester which are multi generational and genre diverse. These are two men in love with the music they play out, and the affection is infectious. Launching this Summer, Delia Teșileanu is one of London’s young unsung heroes when it comes to championing new music. A team member of various labels – Wah Wah 45s, First Word Records and Total Refreshment Records – she provides Monday lunchtime rest-bite with her music and chat based show. With an emphasis on honest conversation and story-telling, she explores music with carefully selected guests through a kaleidoscope of perspectives, whether they be cultural, medical, anthropological or spiritual. 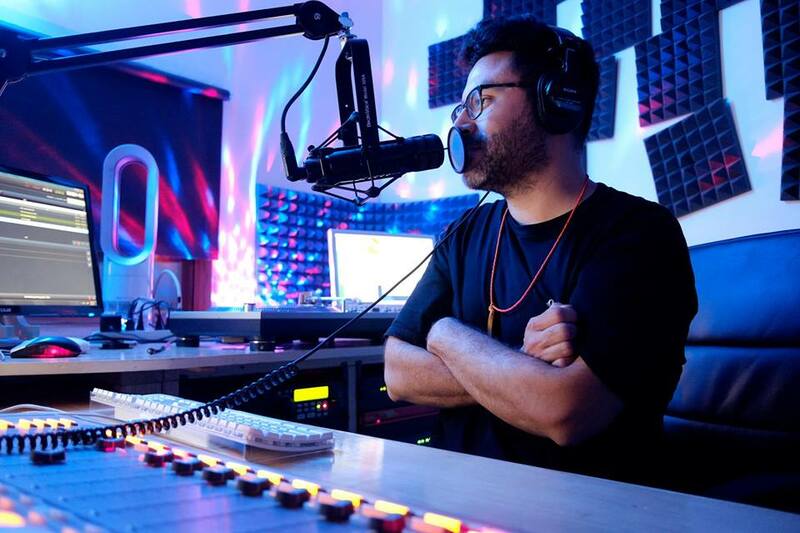 Founder of global music platform Musica Macondo, host Tim Garcia is one of Jazz FM’s most on-the-pulse broadcasters on the station when it comes to new music. His show is a journey through fresh Jazz-centric releases spanning to afro, electronic, latin and outernational sounds. Guests have included Yazz Ahmed and Tahira. Nina Fine and Louise Paley are preparing for their first major event; a three day festival championing the UK’s female Jazz pioneers. In the meantime, they’re presenting a six month residency on Soho Radio with live guests. Shows are inclusive, celebratory and inviting. Expect live guests and updates in contemporary Jazz. You need to check out “IN THE KNOW ” The Jazzy” Radio Magazine show formally” Deferences “radio Magazine show airing since 2008 ! Bringing you the best in jazz, Hip Hop Jazz and Jazz classics r&b and soul classics with some of the best interviews in Entertainment, Health,Food,Fashion , lifestyles and Community Affairs!